Maruti has always been a age ahead in building small hatchbacks suitable for city and highway driving. Keeping things at proper proportions like steering, fuel economy and body. The Celerio is one of those models which is said to be the first product introduced with the Auto Gear Shift. 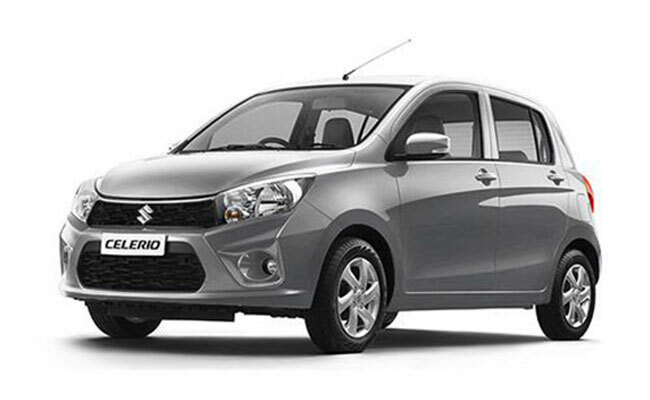 The company released the Celerio hatchback in the year 2014 and it was introduced with six different variants. In 2015, the automaker assembled the common rail diesel engine, the DDiS 125 under the hood of the Celerio. On the safety part, the company has provided ABS and airbags as standard across all trims. It is available in the price range of INR 4.2 Lakh to 6.2 Lakh (ex-showroom price). Engines feel a bit underpowered on the highway. The design is a bit curvy and Maruti names it as 'CICO' (Curve in, Curve out) design theme. The design elements are conservative and clean. The Maruti Celerio holds a similar wheelbase as found in the Grand i10. The hatchback houses a chrome grill in the front along with droopy headlights. The front fascia looks a bit aggressive. The B-pillar present is blacked out with the ORVM and 14-inch alloy wheels. The rear is pretty much neat and adorable. There is rear defogger and rear wiper on the top variants. Talking about the interior, the celerio offers decent cabin space and the The dual tone beige and black theme along with the silver accent simply looks magnificent. The interior quality seems upmarket in comparison to other older models in the same segment. The central console is classy and appealing. Getting to the top trim such as ZXi (O), the driver's seats get better adjusting feature. The support is good with the A-pillar getting a bit thicker. The centre console comes equipped with music system that supports AUX, USB and Bluetooth. The base variants gets a 2DIN slot for an aftermarket music system. The air-con system fitted inside is said to be one of the best units out there. The air transmission inside the cabin is good and worthy. Maruti Celerio is dubbed in a small DDiS 125, 793cc 2 cylinder diesel engine. The overall power output looks down in comparison to its closest rivals. The petrol Celerio is powered by a 1.0-litre, 3-cylinder engine putting out 67 hp at 6000 rpm and a maximum torque of 90 Nm at 3500 rpm. The 800cc diesel engine churns out 47 hp at 3500 rpm and 125 Nm at 2000 rpm. A 5-speed manual transmission is available for all the three engine options while a 4-speed AMT is available only for the petrol version. The automaker claims a mileage of 27.62km/l mileage figure which is not bad. The petrol version seems like the tweaked the K10B motor. It is best in the city commuting. The 998cc engine, 3-cylinder engine comes mated to either a 5 speed manual or AMT, which lets you ride in the city traffic without much hassle. It is claimed to offer a decent mileage of 23.1kmpl. Meanwhile, the CNG version offers a power output of 58.2bhp at 6000 rpm along with a torque 78Nm at 3500 rpm. It is claimed to deliver an outstanding mileage of 31.79kmpl. Maruti Celerio is popular for its soft suspension system. The car effectively absorbs bumps on uneven roads. The steering too is nice and adjustable at proper heights. Cornering is not too difficult when you are driving the celerio. It is tuned to achieve a top speed of upto 120 kmph. The braking power comes into life with the front disc brakes and rear drum brakes. The braking is smooth and the car halts at a good pace. Undoubtedly, Maruti has provided some standard features across all the trim levels of the Celerio hatch but the base base L trim misses out on some parts. The missing features are audio system, keyless entry, and power windows. However, the company has added power assisted steering along with manual air conditioner and heater to this variant. The Mid L(O) variant receives the ABS and Airbags as standard that lies in the budget. The variant gets goodies such as central locking system for five doors and power windows. Additionally, it houses 60:40 split folding rear seat, rear luggage shelf, inside rear view mirror and passenger side sun visor. The top-spec Z trims comes with preinstalled integrated music system that gets in-built support for radio, CD player, AUX-In, Bluetooth and USB connectivity. It gets special features such as defogger, a tilt adjustable steering with mounted controls and a rear wash wipe. 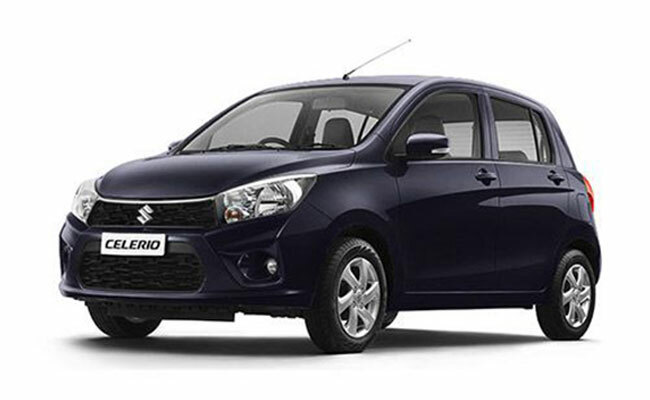 Maruti Celerio offer a peaceful ride in both city and highways. Offered with the standard equipments doesn't makes the driver uncomfortable while driving. May be the base variant lack the important accessories but the ride quality offered is just fascinating. The diesel version holds some issues in the efficiency and sound but the petrol variant shall not disappoint you in any aspect.